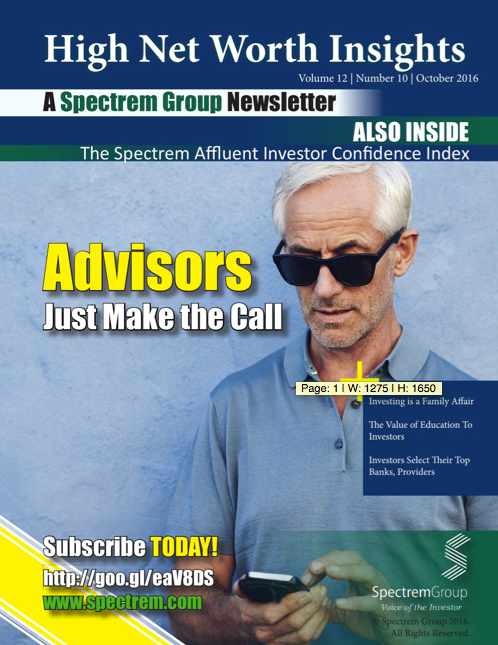 Spectrem’s publication is the comprehensive pipeline to the ultra affluent. High Net Worth Insights provides insights into the needs and expectations of affluent and ultra-high net worth households, enabling financial advisors to strengthen their client relationships and position their services to attract new business. This is a free 3-month trial subscription.